Many buyers make the mistake of not fully understanding how much they can REALLY afford when shopping for a home. 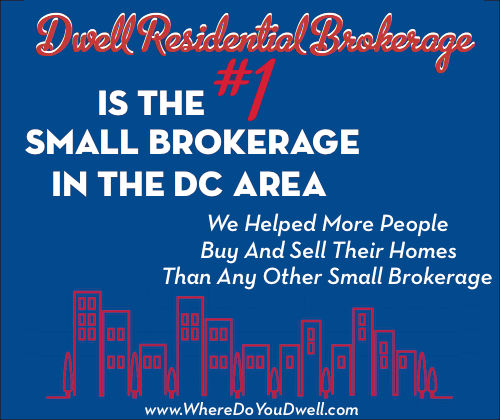 They think more “big picture” when it comes to price range or purchase price, and just go along with what their lender says they can afford. Don’t make this mistake! We’re going to show you the correct way to do the math so that you get a mortgage you can afford and, ultimately, a home you absolutely love on your budget. You won’t be “house poor” and you won’t shortchange yourself either. Here at Dwell Residential, we don’t want you to focus solely on the final purchase price, but rather start with your desired monthly payment for your home. How much can you afford each month? This monthly payment should factor in your home’s mortgage, potential taxes and insurance. By breaking it down to the monthly level, you’ll have a better understanding of how much you can afford and also be able to take into account the other costs when owning a home. It may seem backwards but it’s the one and only way to make sure you get the house you want for the price you want. We actually think the traditional way of doing things is the backwards way! Never begin your search with a blanket statement, “I want to spend $500,000” and not know whether that amount will truly fit your monthly budget. Even if the purchase price is exactly the same, your monthly payment could be very different between two properties. For example, the monthly payments for a $500,000 condo will be completely different than for a $500,000 single-family home. There are different costs you’d need to consider for each option, such as condo fees. That’s why we tell our clients to NOT focus first on the purchase price since monthly payments can vary depending on where and what you buy. Remember, every $10,000 in purchase price only adds an additional $50 to your monthly payment. Keep in mind this rule of thumb when you’re calculating your budget. It will make it easier to find that perfect balance between the funds required for purchasing a home and your monthly payment. Unfortunately, many buyers start with a blanket statement of price because their lender pre-approved that amount for them based on what they could afford. But most people can be approved for much more than they want to spend every month. We have a lot of clients that will say, “I want to spend $400,000,” but when we ask how much they want to spend per month, it’s higher or lower than that price range. That’s why you should make sure the price range you are approved for and plan to look for homes in is equivalent to the monthly payments you want to spend. Tell your lender what monthly payments you are comfortable with and ask them what is the corresponding price range. Work with your lender this “backward” way rather than doing it the other way around. In order to determine your “correct” purchase price, you first need to figure out how much you want to pay per month, and then work your way back to determine a purchase price that works with this monthly budget. Remember you’ll also need to factor in your down payment and any homebuyer assistance programs into your budget. How do you determine what you want to spend per month when you own a home? It’s time to make a budget! Making a budget is an important step, so be honest about what you spend your money on each month now and in the future. •List all the costs of homeownership — property taxes, insurance, maintenance, utilities, and condo fees, if applicable. We can help you with some of these numbers and provide estimates. •List all other costs you expect to continue — such as day care payments, car loans, gas or commuting fees, etc. •Plan to spend or save about 1% of your home’s purchase price each year for maintenance or future maintenance costs. If you save 1% per year, you’ll have the funds for when you do need to complete any home repairs and maintenance. Both your income and your expenses are the two big factors that come into play when determining what mortgage amount (and monthly payment!) you can afford. However, remember what you can afford today can change next year and after that. Yes, your salary will increase but you’ll have new costs, such as kids or a new car, which could mean daycare and higher car payments each month. Factor in all of this when doing your calculations. Remember that when you pay rent, that money is not coming back to you through tax deductions or equity. It’s essentially gone. When you own a home, you will get a bigger tax refund than you are getting now. This doesn’t mean you should increase your budget for a home — it’s just as a friendly reminder that you will have some money coming back to you at tax time that you can put toward your savings, home repairs or upgrades (maybe even a vacation!). Please let us know if you have any questions. 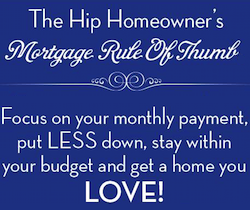 If you follow our advice, we know you’ll buy a home you love that doesn’t break your budget!